A mountain marathon runner had mixed fortunes while taking part in a Lake District event. 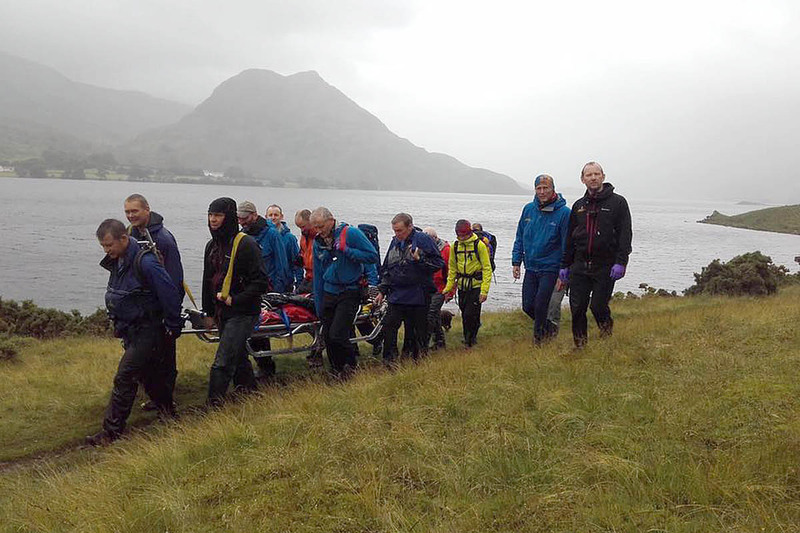 The woman, who was participating with her son, slipped and suffered a painful dislocation of her shoulder while on the shore path alongside Crummock Water. Two other competitors, who happened to be emergency department doctors, came across the injured runner and treated her at the scene. Cockermouth Mountain Rescue Team was called out and continued with further treatment before stretchering the woman to Low Park near Loweswater, where a waiting ambulance took her to Cumberland Infirmary in Carlisle. Shortly afterwards, police alerted the team to a 68-year-old walker from Liverpool who had fallen about 10ft down a rocky path beside Green Crag on Hay Stacks. The walker landed on his head in the fall and also injured his leg. Because of the nature of the walker’s injuries, the Prestwick Coastguard helicopter was requested. A team spokesperson said: “However, weather conditions on scene deteriorated, and following a favourable assessment by the team doctor, it was decided to stand the helicopter down. “The team carried the casualty back to our vehicles above Honister Slate Mine and transferred him by Land Rover to the waiting land ambulance at the slate mine. The two incidents involved 34 volunteers from the Cockermouth team.